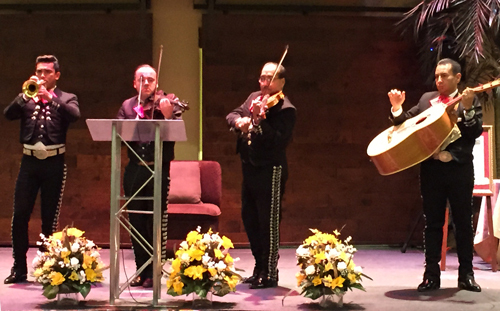 Honoring Father Richard Brown S.J., Our Lady’s School and Our Lady of Guadalupe Church had a gala to benefit the Father Brown Scholarship Program. Fr. Brown has been a tireless advocate to preserve Catholic education in Barrio Logan and in Sherman Heights. In the 1970’s Our Lady of Guadalupe and Our Lady of Angels schools were struggling financially and were at risk of closing. Fr. Brown spearheaded the effort to merge the two schools into Our Lady’s School. Since that merger, the schools have continue to grow and have celebrated over one hundred years of providing Catholic education to elementary students in San Diego. Barbara J. Menard, and the Menard Family Foundation were honored at the event with an award for their support of the school.